what is the toboggan tunnel? Get ready for the most exhilarating ride you will take this winter! 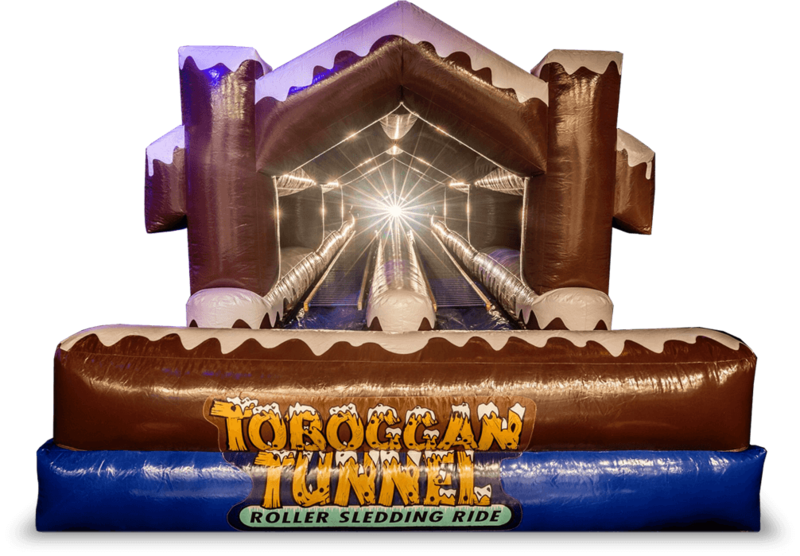 The brand new Toboggan Tunnel combines speed, adrenaline and mystery into one amazing attraction and is available only through Artificial Ice Events! First we start with the exterior appeal of this giant event centerpiece. At over 15’ tall and 45’ long this slide is made to look like a mountainous adventure has landed on your front doorstep. With the twin roller lanes covered by a snow covered tunnel, there is mystery and intrigue among your guests as to what this tunnel has to offer. Once inside, guests will bring their toboggan to the top of the slide and prepare to take flight! There is no other slide like this in the United States so get ready to stand out at your next event!